Since 65 years Oskar Frech GmbH + Co. KG in Schorndorf has been a pioneer in the field of high-pressure diecasting. 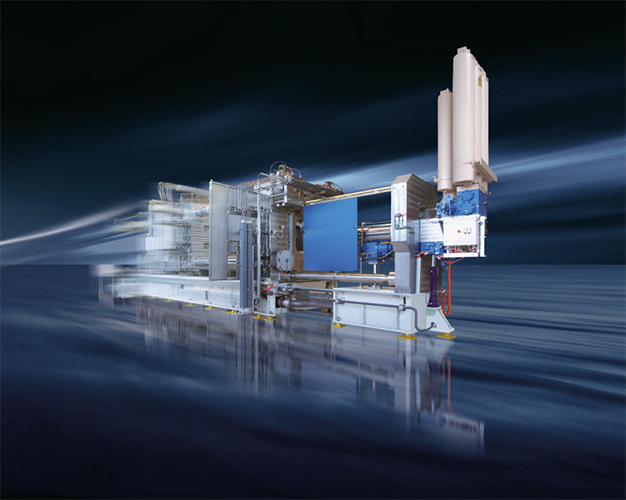 As a world market leader FRECH offers the full range of state-of-the-art diecasting technologies from hot- and cold chamber diecasting machines through peripherals and dies, consultancy and other services to process engineering. Diecasting equipment made by FRECH can be found all over the world. In the automotive industry, for example, it is used for the production of engine blocks, transmissions or complex structural castings but also by suppliers of other industries such as mobile communications, hardware and fittings and construction. Aluminium, magnesium and zinc are processed. Frech produces its range of premium quality products at the headquarter site in Schorndorf , but also at other locations in Germany, Austria, China, Poland, USA and Bulgaria. Through its international distribution network of sales offices, subsidiaries and trade representatives FRECH has established a presence around the world. Frech die technology specialises in tooling up to a maximum dimension of 1.500 x 1.500 mm for the hot and cold chamber fields.